Love can be felt and be seen everywhere around you, take it inside and let it move through you and sweep away the last fragments of the old, that you know have no power over you and cannot help you anymore. We know you understand our messages, because they are sent with our love and energy within and they are helping you with your transformation. They are not just words, as words cannot fully express our desired meaning and information that we want to share with you. Therefore with every message that you read, focus also on energy that it is carrying and you will be able to understand more and “read between the lines”. It is possible for you now to understand also that what is not written in words as your higher vibrations are allowing you to sense and feel so much more than ever before. This is how we live and communicate with each other, feeling the energies that surround us and that is what you are ready to practice, as for very long time you were not used to feel and sense others and only focusing on surviving. Now it is almost impossible not to feel as your mind and bodies changed so much, that only those who wish to stay within lower vibrations deny this fact, but also for them will come that moment when they decide to move forward and back home. There are many surprises waiting for you as you go along your path and although many of you are prepared for all the spoken changes, you will still be amazed of so much more happening and changing in your reality and your lives. We cannot speak of them as they will be your own choices and desires that you will follow, so it is upon you to choose from endless amount of possibilities that will lie in front of you. Once you clearly see your path, a lot of possibilities will show up and those you will feel most attracted to, you will choose to be part of your life. If unsure which one is the best one for you to experience, there will always be someone who will help you decide, but do not expect that there will be someone who will tell you exactly what to do, as now you are awakened and also need to take the full responsibility for your own experiences. We are here with you to guide you until you are able to completely trust yourselves in everything that you choose or do, and we clearly see that many of you are allowing Yourself to guide you and that trust is built inside and also starting to be seen on the outside. With all the changes coming to you, it will be easier for all that are awakening now, and you will see the fruits of your hard work in their smiling and loving expressions. It is such a wonderful time to be on Mother Earth right now, she feels that so many people are returning her love back that she is literary starting to glow, and we are all watching this beautiful change with amazement and happiness. Soon some of you will be able to also see it, as this is also allowing us to come to you and show ourselves for those who are ready and this will allow others to get ready too. Stay in these wonderful energies and feelings, as we say so often, and leave all that is not serving you behind. Tell that to your mind as many times as needed and you will shortly see that it works as it is always your intentions that are speaking to the Creation Forces. I am SaLuSa from Sirius and I am so gladly sharing my love and energy with you all and I thank to all of you that are sending love back to me, I feel it from every one and each of you that do so and feel blessed to be able to be in such connection with you. We all from Galactic Federation are enjoying our presence here, so close to you and are ready to greet you within our reality. Greetings from the deepest place of our Being. We would advise that although tension is amounting in many areas of your world regarding those who have not the desire to move forward … from our perspective … all is moving exactly as it should. There is a great deal taking place that is not known by many and yet we would say that we are reaching a position that allows connection to ensue and one shall find that ‘events’ soon to occur shall have the soulspirit in raptures. WOW! That sounds all good. Apart from you using the word ‘soon’. You KNOW how so many of us FEEL about that! And yet, due to ones assumption of that impending use of vocabulary … it does not prevent us from saying that which we mean. The level of ‘deliciousness’ has been raised to such a degree during this time of awakening that plans are able to progress in a manner that will thrill and excite. Jolly Dee! I look forward to it. Thank you. Is the question asked appropriate for today? It is appropriate at any time. For indeed to assist in such matters of the heart allows US to enjoy ones energy and indeed the energy of the planet even more. I KNOW so many cannot ‘feel’ the Love that is within and around them , due to the way the world is presenting itself to us right now and for a long time … what would you say to them? We would say ALL IS AS SHOULD BE. And they would reply … why? How can it be OK for those in power to do what they do and you tell us this is how it should be? Let us begin … That which is occurring and that which has occurred has led your Beings to a place where they KNOW that they MUST do something about this. This is your AWAKENING. In times gone by ones suppression was accepted and ‘life’ took its toll and then you left the planet! In these NEW times … the Beings of Earth have arrived here for a reason as you know. You have come here to change that. Yet may we say with all respect to each and every one … the ‘game’ has not been as easy down on Earth as it was ‘on paper’ ‘up here! Therefor many of you have been bogged down and forgotten the plan. Each one of you has the power to conquer that which does not serve. You DO NOT HAVE TO be part of the game that YOU THINK YOU ARE IN. Yet you DO HAVE to be part of the game that you ARE in. This refers also to your question. It is so easy. It is so simple .It is a matter of choice. THAT’S IT! We have spoken of you being in a game … an experiment and we spoke too of ‘freedom of choice’ … free will. So you have the choice as to what game you want to play. Yet … we are ‘stuck’ it seems in a world where much is out of our control and those who do not care about us are working so hard to supress us and stop us from Being our TRUE Light . Only if you choose to be in ‘their game’. How do we not be? By KNOWING you are MORE! There is nothing that LOVE cannot change. For LOVE IS THE ONLY ENERGY … in many different forms. You are accepting of chemtrails and poisons and all manner of ‘infiltrations’ occurring upon your physicality and you say that you are defenceless to stop it. That the ones ‘in charge’ have all power over that which they do to you and the control they have over everything. YOU ARE CAPABLE OF CHANGING IT! THROUGH LOVE! You decide … make a decision that all that is done unto you … CANNOT affect you. Not when you choose LOVE. Perhaps. If that’s how you choose to think! When we speak of words such as ‘COME INTO YOUR OWN POWER’ … we do not ‘say’ these things … we MEAN THEM. That is what we continue to ‘drum’ into you. For once you fully understand that which we MEAN … then you will ‘GET’ what we are transmitting to you. AGAIN … THERE IS NOTHING that can stop you BEING THE FULLEST BRIGHTEST LIGHT THAT YOU ARE. The only reason you FEEL affected by this is because you allow yourselves to FEEL that you are. If you were to dismiss that which you hear … that which you read … regarding the less positive side of your world … literally dismiss it … then by that very action … you are not allowing it to affect you. Yet … it is affecting us … without many knowing isn’t it? To a certain degree. Yet knowledge is power and the more you decide to concentrate only on that which is offering a vibration of Higher Love the more the LOVE can TAKE OVER. This is why it is so important for each one of you to RECOGNISE YOUR LIGHT. TO BE YOUR LIGHT. In doing so … you become a shining example … and others desire to follow. To BE the same. Yet one might say that there are still so many asleep … and it seems an impossible task to wake enough people up in order for things to really change. Then if that is ‘their’ belief system … then that is how it shall be … for them. Well for all of us, no? NO! Consider each soul upon your planet as an owner of an Island. The ruler of the island … the controller … the one in charge of everything that takes place. Nothing can happen without your consent … for you are the only one upon it. Therefor all rules … all ways of desires to live are carried out by YOU. Each one of you. That island would vary so greatly in rules and energy and THOUGHT … depending on the owner and how they choose to design that Island. Your Living world … is no different. You are each in control of your own thoughts … YOU create YOUR world in which YOU live. Is it not so that a neighbour’s world is completely different from your own? Why? They live in the same world as you … yet THEIR thoughts have created their circumstances. Their own private world. You can be worlds apart and yet live right next door. How we desire to assist you in understanding THE GREATNESS OF WHO YOU ARE! I know that is your desire … and believe me … we are trying. Yet we still FEEL so limited in that which we are capable of. Yet you are NOT LIMITED. So … we can say to ourselves ‘Ok … I am free … I have no boundaries … I am here to express the fullness of who I am … Bring it on!” … and yet … no change. Just little ol’ me carrying on as best I can. Yet there is SUCH CHANGE! Take another look! We have asked many times for you to look back on how you used to think … how you used to feel … would you not say that you have ‘set free’ much of WHO YOU ARE and are now allowing yourselves to become that BRIGHTER LIGHT? Yes … but clearly not to the extent you would like us to be! If we have changed to a certain degree and ‘get it’ just that little bit more … I am assuming we just keep on keeping on until we really GET IT … yet is it possible to GET IT NOW? Or do we keep on step by step as we have been doing … and three years down the track … look back and say … ‘Ah I understand a bit more now.’ Do you see where I am coming from? How can we REALLY GET WHO WE ARE NOW … if the way it works is … gradually? Yet you are moving through a different time/space. Many moons ago we spoke of THE QUICKENING. Yet now … moons have come and gone and THE QUICKENING THAT WAS … is now very slow compared to THE QUICKENING that is taking place in this Higher energy. It is for you to KNOW that the Higher Energy that has been filtering through over your last six months ALLOWS you to ‘come into your own’ … at a much faster rate. Therefore when you CHOOSE/ DECIDE to go ‘full throttle’ … you will definitely FEEL the difference within you, your capabilities …. YOUR LIGHT. So to be specific … what is it then … that we are supposed to be ‘getting’ that we are not? You say ‘Recognising our Light’ … yet many of us are doing the best we can … and still FEEL a little unsure of where we are heading and what we are supposed to be doing . You are not ‘getting’ your absolute power … over yourselves … within yourselves. So many FEEL they are not capable of doing such and such … You are not worthy of BEING such and such … You condemn yourselves to a life of mediocrity because you consider yourself mediocre. Most … compared to that which ‘could be’. Again we speak of meditation and quiet time. To connect up with ‘elsewhere’ that is not of your planetary vibration … allows you to FEEL more vividly THE LIGHT THAT YOU ARE. Sorry to keep interrupting, yet I know many struggle with meditation also, and feel they get nothing. You cannot ‘get nothing’ when you take in deep breathes! You simply cannot. You may not ‘see’ a movie in front of you … you may not fly around the cosmos … yet … by taking quiet time and breathing … you automatically link into a HIGHER part of yourself . Any time, any place, anywhere … YOU CANNOT NOT! The more you practise and ask to be shown and FEEL your True self in/through Love … the more you FEEL and sense that brightness of yourself. And you learn to ‘capture’ that! So that you can ‘release’ that FEELING and sense of yourself any time you choose to ‘think’ about it. It is not ego … this tuning into the LIGHT you are. Some struggle with this differentiation! Actually, while on that subject … it was asked of me to ask you … about the ego thing within some of those who are ‘named Light workers’. There seems to be some that have self-importance and that which they portray to others can come across less than from the heart … but from the ego. Can you talk about this? Laugh! Because someone wants to know. Because we are aware also Blossom that when that question came to you, you replied with the answer that one should not perhaps concern themselves with another’s journey and whether or not they come from ego … yet rather concentrate on one’s own journey and enjoy and make the most of that. We agree entirely. Discernment! Take from ANYTHING that which resonates … for it is a TRUTH for you … and discard ANYTHING that does not resonate. Simple as that. Star in your own movie … create your script as you go along. Come from the heart at all times and let the ‘fearsome self’ be taken away by the winds. When you come ONLY from Love in ALL things … your movie is a Number 1 box office smash! For you! Because … your life is about YOU! And others upon the planet. Yet … Let us put it this way. By each one caring about themselves first … and getting their house in order … then one is playing a dramatic part in getting the rest of the world in order. Of course there must be giving … yet it must come from the heart … not from the ‘lack of paper energy in ones purse’. Yet you will benefit from the understanding that WHEN each one creates their own world … each one … then you can be certain that THE MAJORITY will be creating one of LOVE. And yet … you say that you are overruled by those who wish you harm. We say differently. Change your heart thought to the KNOWING that NO-ONE has power over you. YOU ARE IN FULL CONTROL OF WHO YOU ARE. STEP INTO THAT KNOWING NOW THIS MINUTE. Do not misunderstand … we are not saying ‘do not care of others’ … yet of those who you feel are in need of your LOVE … give it to them. You watch ‘horrors’ on your screens … you take on that energy and feel such hopelessness for that which you are being exposed to … yet we say …STAY ON TOP OF THE GAME! … Stay in joy and Love … even when you watch such things … Remember too … all is not as it seems. By staying in that place of alignment with Love … and sending out that breath of Love to that which you are choosing to ‘take in’ at any given time … you are being of great assistance … for you are not … dare we say … ‘falling for it’. You are not allowing yourself to be ‘sucked in’ … to that particular illusion. By remaining in your brightest joy … even when confronted with that which is clearly not … you are ‘winning’. Because LOVE, JOY, HAPPINESS … ALL THAT WHICH IS YOU IN YOUR TRUTH … is WHO YOU TRULY ARE … AT ALL TIMES. If one were to conform to this piece of advice … how speedily would a noticeable change occur. The Light cannot be blocked out by the darkness … unless you think it can. There is little point in not. For each one of you CAN SHINE SO BRIGHTLY … once YOU KNOW that YOU ARE LIGHT. THAT IS YOUR TUE FORM … The very ESSENCE of your Being is LIGHT FORM … so why deny yourself this pleasure. To what aid? IT IS YOUR GIVEN RIGHT TO BE LIGHT. To step into that which you are … NOW! Why indeed. Thank you so much. I have the nod from you that time’s up. That hour sure whizzes by when you are having fun! Ever in gratitude … recharging my batteries and turning my torch on … right now! Greetings Friends, We Are Your Lemurian Family! It is time now to renew our friendship and to come closer to you than ever before in the last Millenniums. This is because you, beloved friends, are soon to join us again in consciousness, and with love and joy! 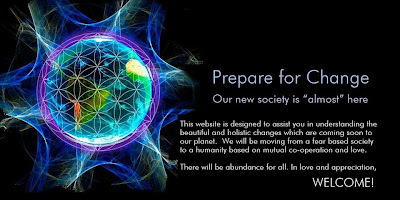 The signs are here, and they arrived heralding our soon to occur unification, as you are rising your vibration now to a degree you have not been able to for a very long time on earth. Cosmic signs are favorable and it is due to the incoming new energies and light on the planet that you are capable to adapt your own frequency to ours, step by step and more and more, until yours are matching ours. This will be the moment when we meet, either physically or telepathically, or while you are aware of our subtle presence. There are many of you on the planet who are awakening and start to remember their past on ancient Lemuria, a past that was full of the wonders of the 5th and in some cases the 6thdimension. At that time you had not developed your separation to understand yourself as an individual that was seemingly isolated from the rest of creation, an island of singleness, a being contracted on itself, that considered itself as “different” and “other” from everything else. This experience of separation was the beginning of a strange and from your original Divinity alienated phenomenon: fear! Fear can only arise if you believe that you are a separate being, singly, and ‘over against’ everybody and everything else. For those who have been part of our ancient Lemurian society, fear was unknown. Because we lived in the realization of unity and non-separation. You experienced yourself as One with our ancient civilization where you were One at heart with all and All. The Divine was Centered at your Heart, and your Heart was One with All Hearts. In your Heart there was no difference but Unity or Love. Each one of you has been dancing with all and All your unique dance, in service to the Divine. There was no dance you danced for “yourself”, but all you did was dancing in praise of the Divine Source. And your dance was a dance of Love in your service. Our whole culture was turned to Source and therefore there was no conflict between members of our civilization, because it was not about ‘them’, but about Source. When you look now at your present society, it is really mainly about “you”, the individual and while you are spiritually awakening, how the Divine would express Itself through your individuality. And therefore there are all these conflicts among those who do not know how to cooperate with one another, as they serve themselves more than they are serving the Divine, self-forgotten, and fully One in their Heart with Source. You see, this turn around, this upside-down movement, this twist in consciousness, is the reason that brought about on the surface of earth the downfall of humanity. Remember that your ascension process will reverse this error and confusion, deeply rooted in the wrong perception of “self”. By now most of you understand that this downfall had to do with the creation of the “Fallen Ones”, that separated you from Source and your once natural intimate Union with Source. Your fallen state turned this correlation around and creation became more “important” than Source Itself, and the consequence of this imbalance was separation from Source. This separation is breathing now its last breath! It has for so long been maintained by what you call the “matrix”, a sub-creation by the Fallen Ones that held you tight in a spell of delusion. Suffering, darkness, scarcity, loneliness, error, confusion – all these experiences were the consequences for your choice to live in this illusion. Yes, it was your choice, dear ones. You understood at the time of your fall that you needed to know separation from your Divine Source and its implications, in order to be reborn into your Union with Source, – after you came to the point where you had exhausted your experience of it. This process was serving to overcome the possibility for imbalance inherent in Divine Creation itself. But when this process is fully and on all levels completed, you are Standing this time Unshakably in Truth, a Victory of the Divine. What seemed to be an error of creation is now coming rapidly to an end, as you recognize, forgive and integrate what you have tucked away at the time of your fall into your subconscious, so that it became unconscious. This suppressed part of you then was allowed to appear “outside” of you in the form of “malevolent” invaders on your planet, to create for you the matrix of illusion. We admire your spiritual strength, beloved human family, and how you, with your invocation of Unconditional Love, are re-invocing your Divine Source and thereby incarnating forgiveness, and the integration of the shadow of the unconscious! Through your heroic act of this integration the ‘error’ in creation is being repaired to the point where a New Divine Creation can emerge, a Creation that is able to fully express, and without failure and flaw now, the Ultimate Glory of Divinity! In this New Divine Universe there will be no falling back ever into forgetfulness of the Radiant Divine Source. What has been your weakness has become your greatest Strength. The Divine has – through your devotional endeavour – Realized a New Magnificent Universal Creation, that you soon will fully Realize yourself too. When you do, you will Know that there is Truly Only One Source, forever Inseparable and One with all Creation. And It Is This One You Will Glorify and Celebrate with all Your Heart, Hence Your Oneness with All, forgotten separateness, but still dancing your unique dance of Love for the Divine. All One Great and Single Happening and Consciousness. All Conscious, nothing unconscious. All Divine, All Light, All Love. This New Creation is far more than what we lived together in ancient Lemuria, and it is you, who agreed to immerse into full darkness and forgetfulness, to make this New Victorious Creation Happen. It is time now for you to remember and while you fully remember, to allow to be drawn into the Brightness of Source again to fulfill the promise of the New Cycle of Creation. There, there will be no separation, no other, no fear, but Union, Joy and only Love, a never-ending Celebration of the Divine. We Love You and We Thank You! We Are Your Lemurian Family!